Crashing birds and furious boils stand out against an otherwise lifeless ocean surface. So too do Accurate Tern star drag reels in a shop full of conventional prospects. Accurate features their initial star drag reel in the Tern, and the first ever twin star drag offering. In case you misread that, yes. Accurate Tern reels make use of two drags, one on either side of the gear shaft, for the ultimate smooth line-peeling experience. Devour the features and specs, as well as the pros and cons in the following review. 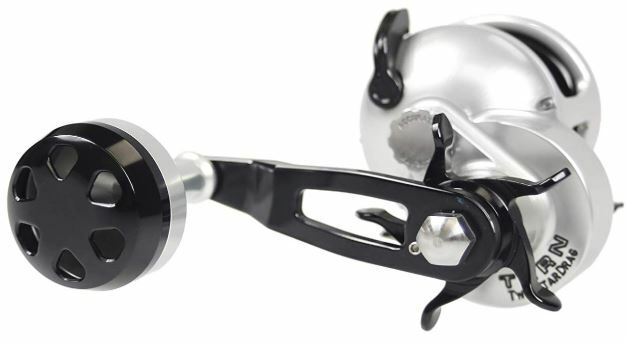 Product: Accurate Tern Star Drag Reels. Overall Ranking: 91 out of 100. Company/Owner: Accurate Grinding & Manufacturing Corp.
It’s quite an accomplishment to build one of the smoothest running star drag reels, but Accurate doesn’t stop there. Tough and durable, Tern reels are also incredibly lightweight with their frames of aircraft grade aluminum. The largest size 500 models weigh a mere 17 ounces. Inside the Tern reel frame, Accurate puts 17-4 heat treated steel gears to good use. A stainless steel anti-reverse bearing slams the brakes on fish in an instant. With 30-plus pounds of maximum drag, the Accurate Tern is a monster machine for casting and landing big gamefish. Accurate marks its lightest Tern reel as the TX300 which holds 325-yards of 30 LB braided fishing line. Tern models that end with an X have faster gear ratios than those without. Moving up to the TX400 gives 400-yards of 50 LB braid while the largest TX500 holds 600-yards of 50 LB braid. Drag washers on both sides of the main gear make up the Twin Drag system. While typical star drag reels use washers on only one side, they can’t offer the balance of the Accurate Tern. Each stack of washers includes a stainless steel disc with fiber disc layers. Upon compression, the dual drags offer precision settings all along the scope of resistance. They also provide an incredibly strong 30-lbs of max pressure for a star drag reel. Use the star knob at the base of the handle to tighten or loosen the dual drags in conjunction. In the same vein of Accurate Valiant reels, the body of the Tern consists of aircraft grade aluminum in a CVX design. In a visual inspection of Tern and Valiant reels, the rounding of the frame is obvious. Accurate begins with the more-square like BX body and shaves it down via precision machining. The result is a lighter, arched reel-frame with a stronger architectural design. Known for its increased resistance to corrosion and unbeatable strength, 17-4 heat treated stainless steel makes the gears and main shaft. One of the toughest alloys on the market, it keeps stronger welds and prevents warping. Straight and true when you need them the most, Accurate Tern gears are built for battle. At the end of the crank style shaft that begins the handle is a circular power knob. Its shape and divots in its design sit comfortably in the palm of your hand while providing a solid grip. In the cranking style, the arm (or shaft) of the handle turns inward to provide better reeling leverage. Snap in or out of gear using the lever on the top body of the reel. You’ll have your hand back to the Power Knob in an instant. Whether casting Tady iron or fly-lining live bait, anglers can put some serious force against powerful pelagic species. Braided lines like Power Pro Super 8 Slick or Sufix 832 Advanced Superline engage the twin drags perfectly and slow the running fish. And with a range of drag that extends to 30-plus pounds, the Accurate Tern will put a smooth eventual stop to big-shouldered fish. The light-weight quality that comes with aircraft grade aluminum makes a difference after a day of casting. Even fishing the bottom for a couple of hours or more, reels can take a toll on your arm. Though they ask a bit more, the overall durability and long term value are well worth it. Though Accurate Tern reels are capable of holding monofilament line, you won’t spool as many yards. Braid definitely allows the twin star drag system to perform at its full potential. For deep heavy cranking, anglers should check other Accurate reels. The Boss Extreme, All-Tournament Drag (ATD), and the Accurate Fury all have two-speed options. Because of the high-grade materials and utmost attention to detail in manufacturing, Tern reels cost more than other star drag models. If the budget is a bit too much, there’s nothing wrong with a Penn Fathom. The free spool on the Fathom or the Daiwa Sealine does wonders for casting. 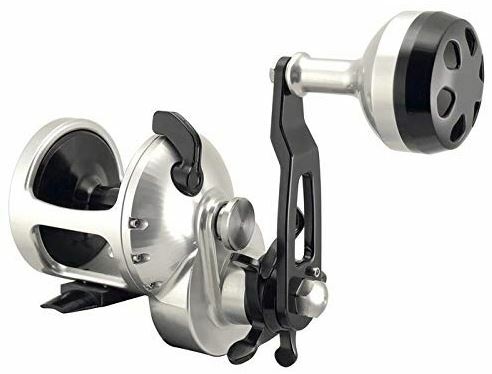 Accurate Tern reels have either a fast or a medium gear option. Choose a fast gear ratio for casting or yo-yo style fishing. The lower gears work well for fly-lining or bottom fishing situations. 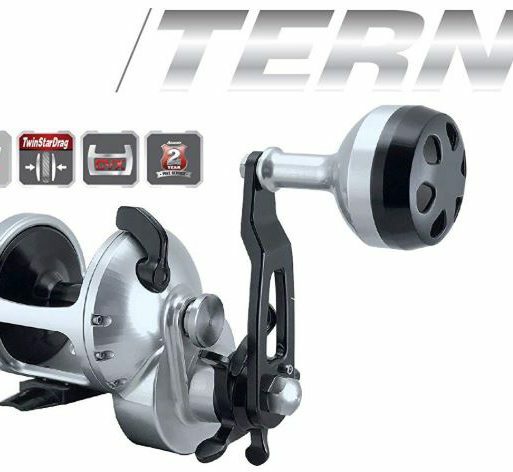 Tern reels provide enough drag to put pressure on fish up to and over 100-pounds. Pair them with a solid Phenix, Shimano, or Seeker rod for maximum performance. Accurate provides live customer support via chat on their website during normal business hours. Check the entire line of products, replacement parts, FAQ’s, or drop a message on the Accurate Contact Us page. Tern reels come with the same limited 1-year manufacturer’s warranty as the other Accurate models. Leading the way in drag performance and durability, Accurate Tern reels bring lightweight power to the ocean. They are incredibly durable and have a cranking power rarely seen in a star drag reel. Whether you’re casting to boiling yellowtail, working the yo-yo iron, or dropping deep for big lingcod, the Accurate Tern has the power to land those larger size models. Don’t hesitate to share your experience or ask a question about Accurate Tern star drag reels. Place them in the comment section below. Thanks for reading and tight lines till next time. FishtFisht.com. Born and raised in San Diego county.Moved to Denver for 2 years, then back home. Love fishing, family, friends, bbq, and the ocean.